If Sturgis® Motorcycle Rally is in the hearts of all motorcycle rally enthusiasts, then the heart of the Rally is Main Street Sturgis. 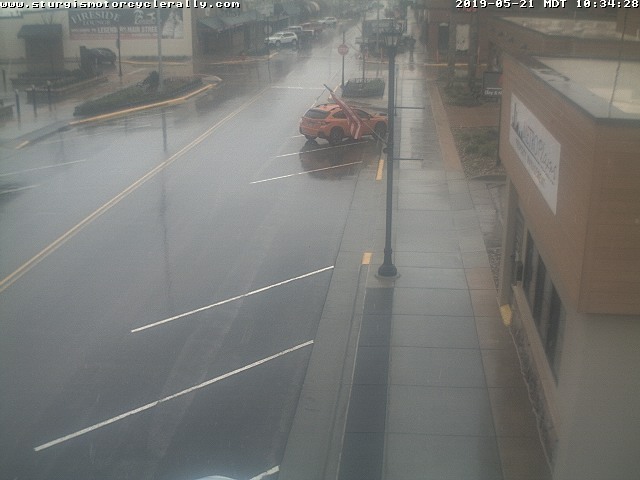 This webcam captures the thrill of being on Main Street in downtown Sturgis. Watch the bikes cruising up and down. Watch Rally visitors walk the street checking out the amazing bikes parked on the side and center of Main Street. Imagine the rumble of motorcycles. So, if you can't come to the Rally, experience it through this web camera, strategically placed to put you at the heart of the Rally.